Nghunghwa Lodge in Bilene offers self-catering accommodation with magnificent views of the Ujembe Lagoon from any one of the 12 luxury houses scattered between trees and dune brush. Guests can choose between 1, 2 and 3 bedroom self-catering houses or the luxury Presidential Suite (the suite is not self-catering). 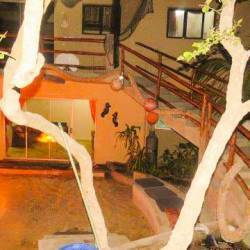 All bedrooms have en-suite bathrooms and air-conditioning. The lodge has an a la carte restaurant and a lively, vibey bar with stunning views of the lagoon from the bar area. A 4x4 vehicle is required to access the lodge - alternatively boat transfers can be provided. 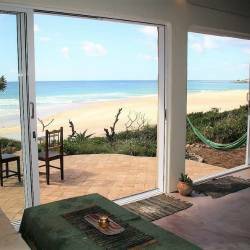 If you are looking for a relaxed beach holiday, Nghunghwa Lodge in Bilene is the place to be. The seawater in the lagoon is calm, warm and safe for swimming, the silky white sands are perfect for relaxing and soaking up the sun. 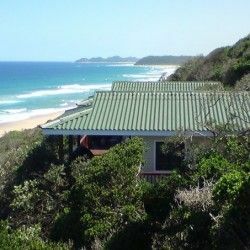 For the nature lovers, unspoilt beaches, 15km of lagoon, forests and bush trails are waiting to be explored. Whether water or land activities attract your attention, your days will be filled with excitement. 4x4 and quad trails criss-cross the area and the lagoon and sea provides great fishing and water sport activities.